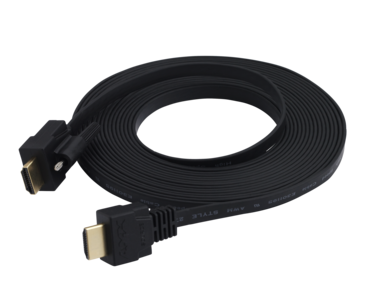 The CBL-HDMI-FL2 cables deliver HDMI 4K60 resolutions at a data rate of 18 Gbps, are available in 16' and 32' options and have a flat design that remains beautifully hidden under the carpet. With the addition of a MyTurn™ Source Selection Button which clips into the specially designed groove built into the connector housing, it is easy to instruct the system to switch to the selected input. The MyTurn Source Selection Button communicates to a MyTurn Receiver installed into a Solecis SDX or other AMX control device.